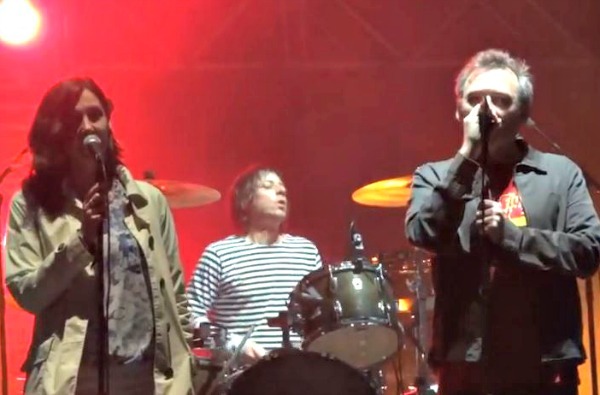 Barcelona’s Primavera Sound 2013 festival is underway this weekend in Spain, and one of Friday’s highlights was an appearance by The Jesus and Mary Chain, who, as you can see from the video posted below (via fpapadim), brought My Bloody Valentine singer/guitarist Bilinda Butcher up on stage to sing backing vocals on the classic “Just Like Honey” — a role often reserved for actresses like Scarlett Johansson or “Mad Men” star Jessica Paré. The full JAMC set was webcast by the festival, and should some kind soul upload a full rip of that to YouTube, we’ll share that, too. MBV plays Primavera today, but their set is not being webcast. Nice! Is there anymore of the set online? I’d love to see more. Great! The whole set went off wonderfully. The JAMC were killing it that night.